ISBN 978-3-95663-183-2 2018 | Softcover, fbg. | 56 S., engl. The Platforms4CPS booklet was developed within the framework of the European project Platforms4CPS funded by the H2020 Research and Innovation Programme of the European Commission. 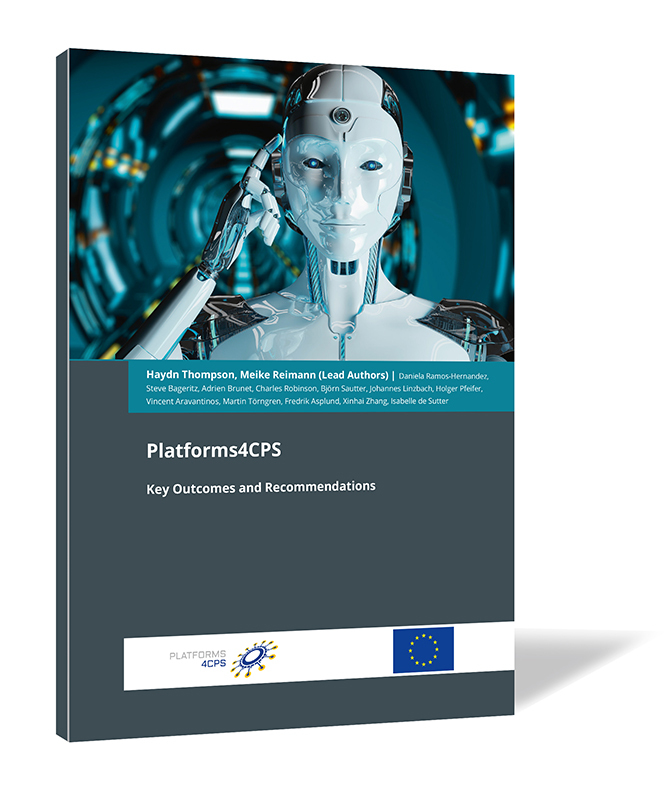 Platforms4CPS is a collaboration between seven partners from four European countries Thales, France, Steinbeis 2i GmbH, Germany, THHINK Wireless Technologies, UK, FESTO AG & Co KG, Germany, FORTISS GmbH, Germany, KTH Royal Institute of Sweden and Systematic Paris Region Association, France. The booklet presents the key outcomes of the work identifying business opportunities for European companies, the Platforms4CPS Repository and PlatForum, a CPS community roadmap, a Technology and Research Radar, innovation strategies for Europe, as well as work on developing a consensus on societal and legal issues addressing connectivity considering privacy, confidentiality and cybersecurity for CPS/IoT, legal issues considering risk and liability for autonomous vehicles, service Level agreements for new services, e.g. mobility providers and medical monitoring, ethical issues of AI and social impact of automation and robotics. The aim is to provide assistance to the European Commission in structuring the future Horizon Europe Research Programme, as well as giving researchers in the field and decision-makers from industry, academia, and policy making a broad perspective on developments and implementations in the field of Cyber-Physical Systems.